In the mood to spice up your shoe game? 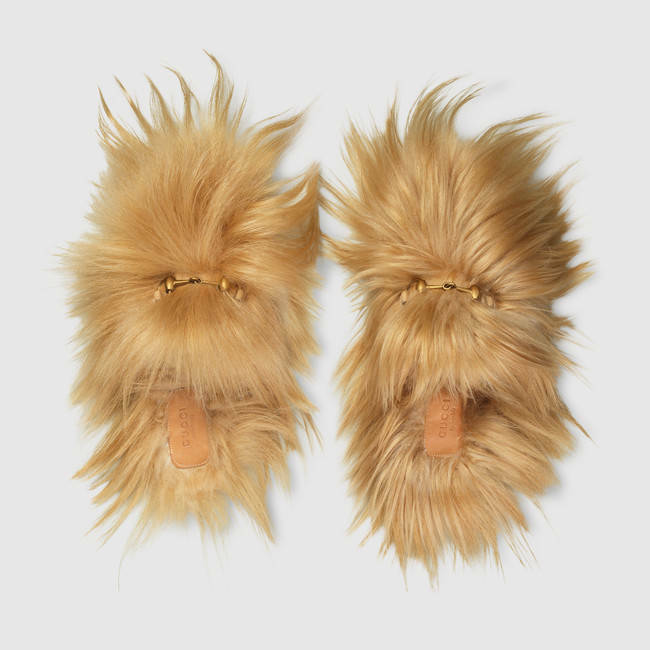 The latest in high-end footwear, Gucci’s new “Princeton Horesbit” slippers, are going for a mere $1,800. Made in Italy with natural goat hair, these shoes are guaranteed to keep your feet warm on the breeziest of days. 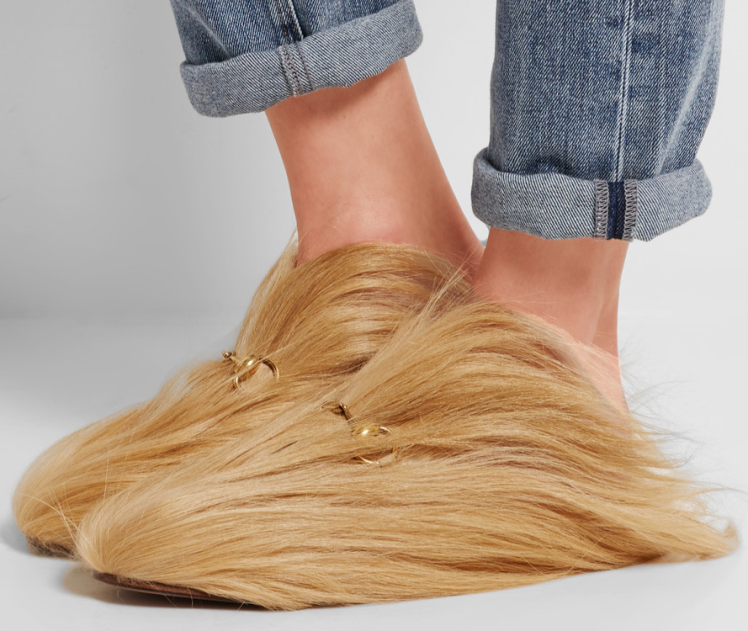 Perfect for the fall, its leather sole and elongated toe will compliment almost every look you’re going for this season, even if that’s the current GOP Presidential nominee’s luscious locks. 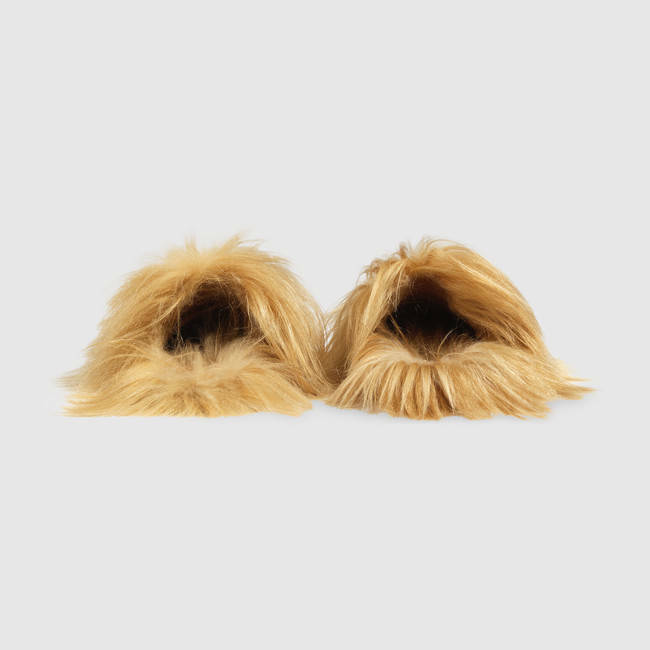 A versatile pair, they also resemble a Shih Tzu, a show guinea pig, and Chewbacca. Even better, they can double as a toupee, whether for Halloween or your day-to-day affairs. The most multifunctional shoe in history, you can relax at home in a luxurious fashion, while simultaneously mopping the dust off your floors. As this bold new trend offers a modern style to the classic loafer and they were crafted from the finest quality materials (no, really they were), the slippers are already sold out. If you feel so inclined to join this totally rational bandwagon, keep your eyes out for a restock and ooze wealth with every step.